Dementia and Alzheimer’s a cruel duo that have played out the last few years as they have stricken my father and left him a shadow of the man he was. 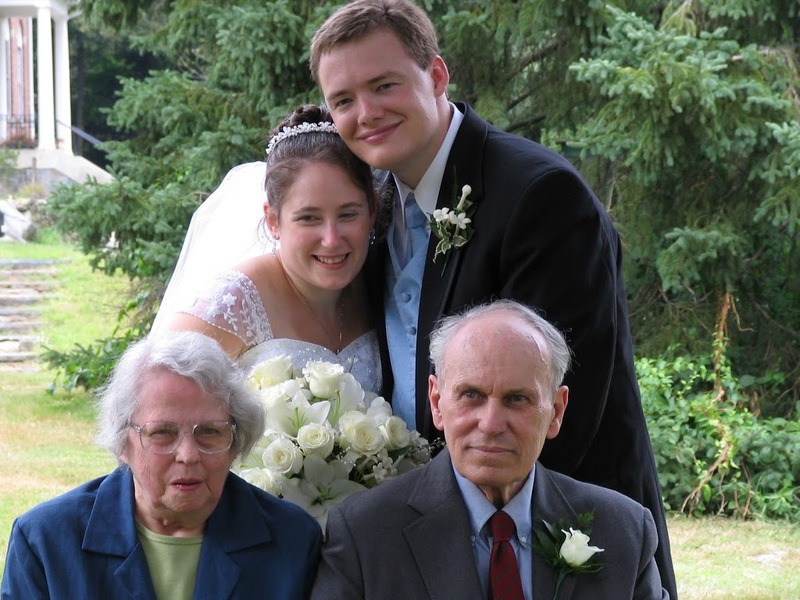 How sad the memories of Grandaughter’s weddings have slipped away and memories of the days when brides were little girls. How much we lose when the older generation can no longer share their stories. It is now my turn to carry the family stories. 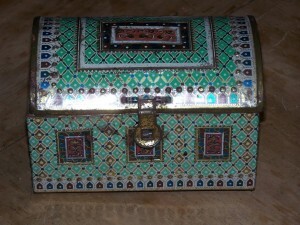 I keep a little treasure box, a momento of my youth when some holiday the shiny metal box arrived filled with candy and I was intrigued not by the sweets but the box itself. 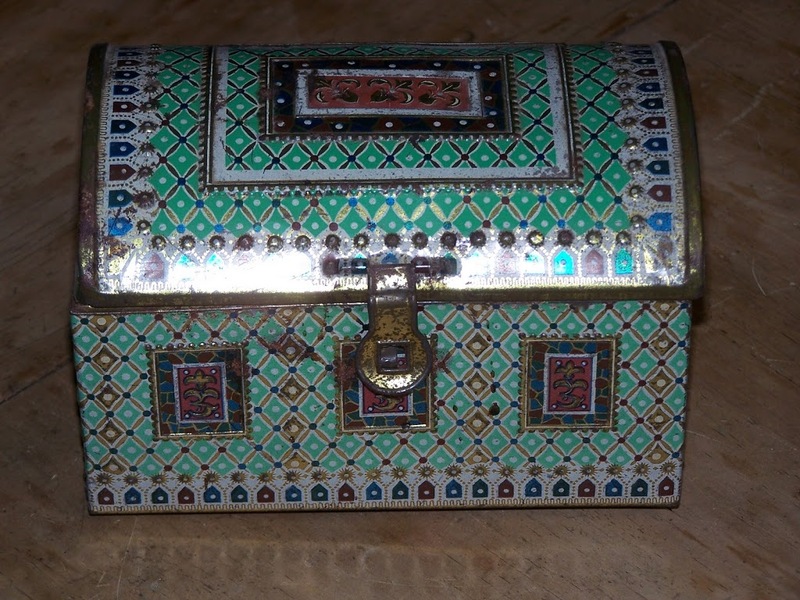 The treasure tin had many uses over the years. Crayons were at home there long enough to color the insides as they were jostled about. Pictures, baseball cards, money and marbles all had a place over time in the box. A year or two ago the box surfaced in the cellar one day and I had a new purpose for the box and it’s magical meaning of treasure to me. I dusted it off and brought it up to my office and began. 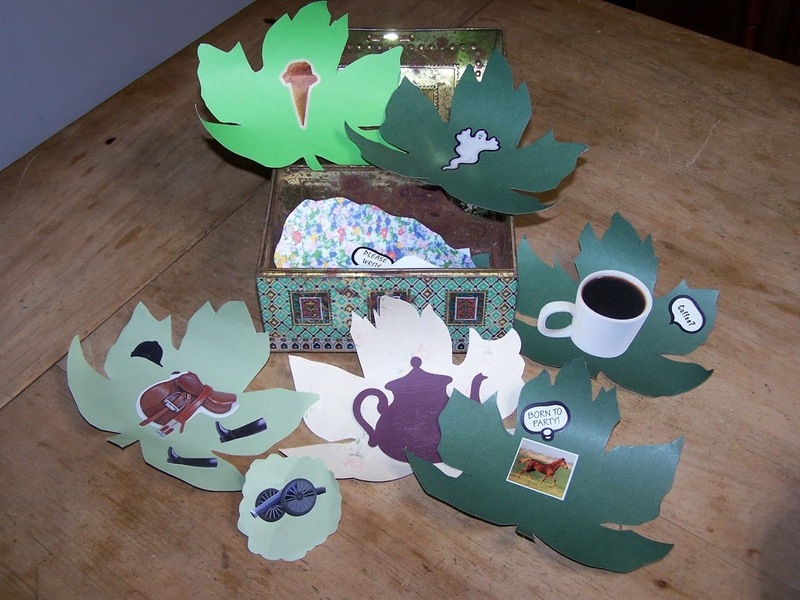 Slowly I have accumulated a collection of paper craft leaves each with a photo or sticker or such attached to remind me of a story from my family tree. I use them in a workshop and I will have them to pull out when my grandchildren are old enough for stories. My family treasures are my family stories. The other thing these stories may well be is another trick to keep Alzheimers and Dementia away. Using our brains is a key component to fighting or postponing an attack by dementia and its debilitating effects. I found an interesting piece on that this week, the link is below. Learning a foriegn language seems to help stave off this dreaded and mind erasing illness. Learning new stories should have the same effect and how much fun we can have sharing them! How about learning new stories in a new language, now that should be a worthy exercise for the brain! I’m learning a new story about the Irish Claddagh Ring what story are you learning? To Stave Off Alzheimer’s, Learn a Language?